I’m lazy. I admit it. I always have been, even as a kid. I’ve never been a “morning person,” and I felt like that was one thing that kept me from being successful in life (among many other things). This experiment really appealed to my lazy side: Rather than thinking I needed to be a Type A to succeed, I decided to see if it was possible to be a Type Z, the opposite of a Type A. To me, being a Type Z means being as relaxed and laid-back as possible during the day, sleeping whenever I feel like it, and working only when I feel like it. I work in bursts, and then relax for as long as I want to. My experiment showed me something really powerful: Not only can you be lazy and create the life of your dreams, but being lazy is the best way to do it, in the long run. I learned somewhere along the line that you can be lazy and still be persistent, focused on a goal and taking the steps you need to take toward that goal in your own lazy way. Once you can do that, you’ve got it made. Being a Type Z is the polar opposite of a Type A. The Taoists have it exactly right: All the world is a play of opposites, of yin and yang, of night and day, male and female, activity and stillness. Type-A behavior is active. It’s excellent to learn to be active and skillful and effective, but we shouldn’t spend all our time in that half of the polarity. So many people seem to fear the opposite of being active: They’re afraid to have time on their hands with nothing to do. Yet the opposite of activity is not stagnation or death, it’s stillness — wonderful, relaxing, rejuvenating stillness. The opposite of being active is being relaxed, laid-back, and easygoing. It is simply enjoying the moment. For me, it certainly includes sleeping a lot. Most people don’t equate these things with success, yet they actually contribute to true success in life, don’t they? My dream has always been to have a life of ease, to not work too hard — I’m usually in the office about 20 hours a week — and to spend a lot of time just idly wandering around my home and yard. That’s my ideal scene. Having a life of ease is easy. All you have to do is relax more often — and you just might find that you can relax your way to success. 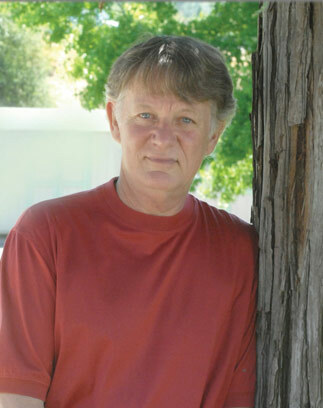 Marc Allen is a renowned author, composer, and speaker. On the day he turned thirty, Marc cofounded New World Library with Shakti Gawain, and as the company's president and publisher, he has guided it from a small start-up operation with no capital to become one of the leading publishers in its field. He has written numerous books, including The Greatest Secret of All, Visionary Business, The Millionaire Course, and The Type-Z Guide to Success. He has also recorded several albums of music, including Awakening, Breathe, and Solo Flight. He is a popular speaker and seminar leader based in the San Francisco Bay Area.